Admiral Markets have helped to minimise volatility risk for you by offering a package of advanced trading settings to help you avoid the reefs of the financial markets. Get more chances to get filled. Feel free to trade any market. Keep calm in volatile terms. Get protected from price gaps. Get protected from widened spreads. Why is volatility so important? Volatility is a measure of speed and magnitude of the price changes, which can be so fast that the financial outcome of trading becomes unpredictable. Various events ranging from economic data releases to natural disasters may adversely affect even the most in-depth trading strategy. What are Volatility Protection Settings? We`re essentially offering a wider, more sophisticated range of trading orders* and settings, which can be beneficial to virtually any strategy and help our clients get significant advantages in volatile conditions. Additionally, our clients get a trading opportunity in a wider range of markets that would otherwise be considered volatile or illiquid. Limit maximum price slippage on market and stop orders. Limit or fully avoid losses on pending orders falling into price gaps. Get filled on larger orders by enabling the partial fills and allowing to fill your orders part by part. Execute limit orders and take-profits even on instant price spikes by transmitting them as market orders. Avoid order activation due to spread widening, when there`s no actual movement in market. Volatility Protection Settings can be enabled in the Trader`s Room for Admiral.Markets, Admiral.Prime and Admiral.MT5 accounts (either live or demo). Possibility to enter market with a limited risk and potentially unlimited additional gains. 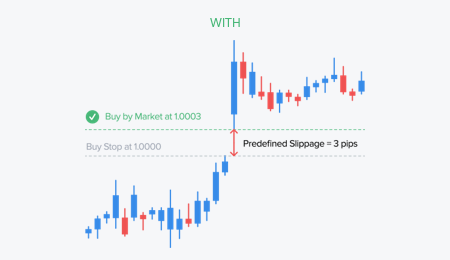 Predefine the maximum acceptable slippage from 1 to 1000 points per account in the Account Settings page of the Trader`s Room. 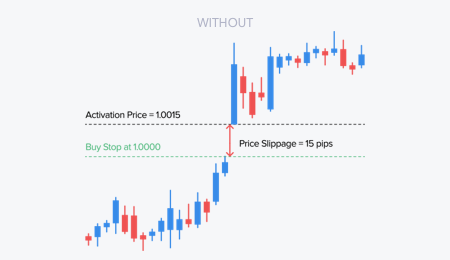 When a stop order is triggered or a market order is requested, a limit order is placed instead at the price that is less favourable by a predefined amount of points. Such limit order is placed, in fact, under the terms when it is immediately triggered, so it can be only executed with positive or zero slippage or otherwise just cancelled. Therefore, the maximum slippage of the original stop or market order is limited to a predefined amount of points, while the positive slippage of the resulting limit order can be unlimited. Applicable order types: Buy Stop, Sell Stop, Buy by Market, Sell by Market. 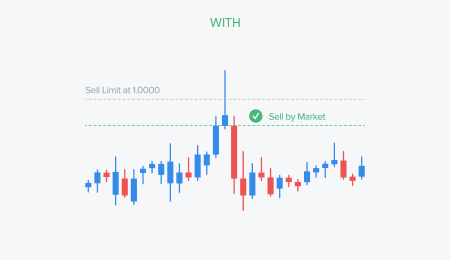 Protects you from instant losses which are otherwise possible if your pending order has a predefined stop-loss level and they are both triggered on the same tick. 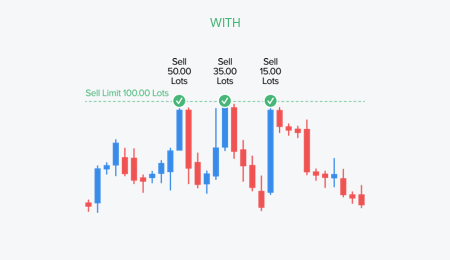 Enable this setting in the Account Settings page of the Trader`s Room to automatically cancel the pending orders if they have stop-losses or take-profits triggered on the same price tick. NOTE: this setting cannot be switched off. Its purpose is to protect clients` trades by minimising the potential risks involved. Possibility to minimise the market risk associated with stop orders. 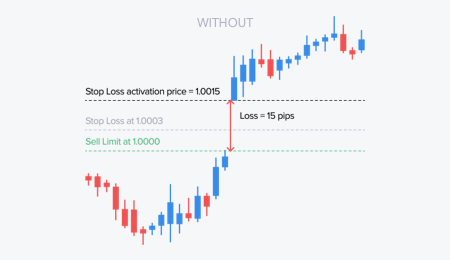 Predefine the maximum acceptable slippage from 1 to 1000 points per account in the Account Settings page of the Trader`s Room. 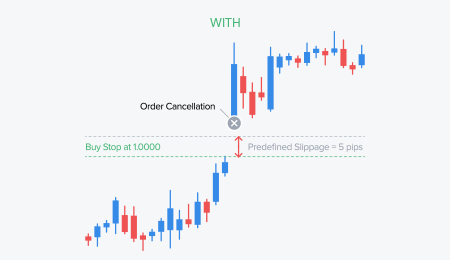 When a stop order is triggered at the price exceeding the predefined limit, such stop order is cancelled. Note: It`s uncommon but still probable for an external liquidity provider, such as bank or other execution venue whom Admiral Markets is contracted with, to apply additional slippage upon the order confirmation. In this rare case, the initial maximum slippage condition may not be met. Helps avoid scenarios when a limit order (for example, a take-profit order) is reached on a price spike and not executed due to absent liquidity beyond that level. 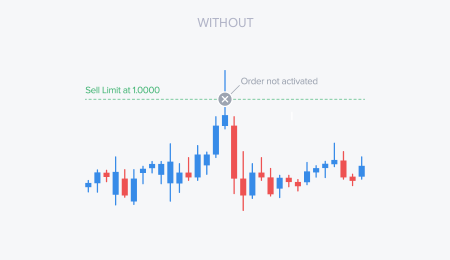 Enable this setting in the Account Settings page of the Trader`s Room to execute limit orders as market orders, which means that once your limit order is triggered, a market order is issued instead. Note: In this case, market order which is issued instead of a limit order can be executed with slippage in any direction, contrary to the original limit order. 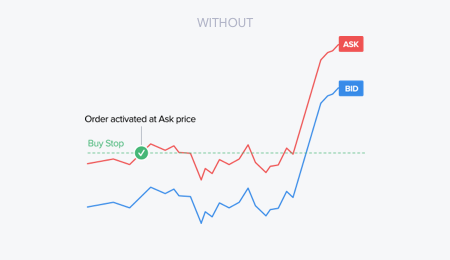 Helps avoid activation of the stop orders due to widened spreads during economic news releases and other volatile conditions, which may not result in an actual change of the price level. Stop-Loss - depending on the position`s direction. Allows to trade limit orders of larger scale; particularly, in the less liquid markets. 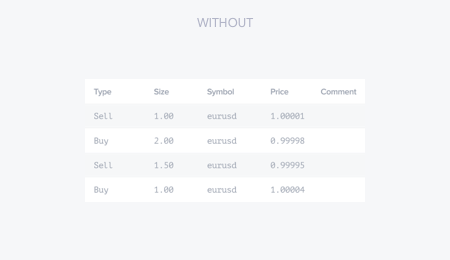 Enable this setting in the Account Settings page of the Trader`s Room to allow partial fills of your limit orders. Limit orders are considered GTC (Good-Till-Cancelled) orders and executed fully if the market volume is sufficient. Otherwise, they are executed partially, with unfilled parts remaining in the market until filled or cancelled. Get information whenever an order is executed with positive or negative slippage. 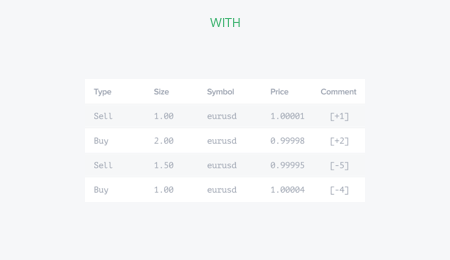 Enable this setting in the Account Settings page of the Trader`s Room to record the amount of slippage into the comment field of your executed orders. 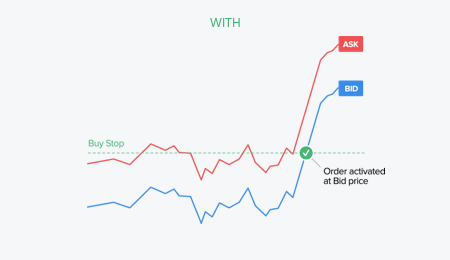 For market orders, the recorded value represents the difference between the price on the trade server at the moment of receiving the request and the price of the executed order. 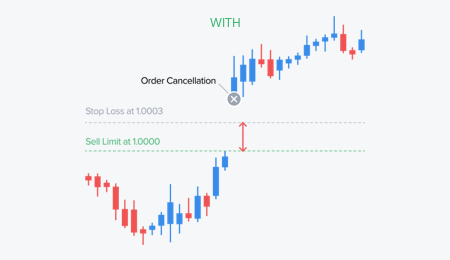 For pending orders, the recorded value represents the difference between the order`s initial posted price and the price of the executed order. Note: If you are using an Expert Advisor that is making any records in the comment field, please be advised to consider keeping this setting switched off. Please note that Volatility Protection only provides conditional order placement and operates with standard order types which are subject to our Best Execution Policy.